Treshawn Roberts wins Americanism Essay Contest. 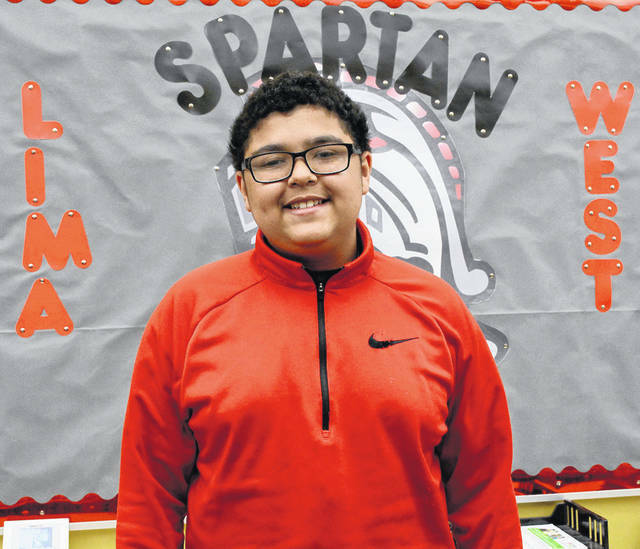 LIMA — West Middle School eighth-grader Treshawn Roberts is this year’s local winner of the Americanism Essay Contest sponsored by the Benevolent Protective Order of Elks Lima Lodge 54. Treshawn’s essay spoke of veterans who willingly put their lives in danger to protect their country and its freedoms. He specifically wrote of his late grandfather, remembering the 21-gun salute he received at his funeral. Treshawn was honored at the Elks Youth Banquet on Wednesday night. He will be honored again at the May 10 Lima school board meeting. Treshawn is a member of the Builders Club, Quiz Bowl and bowling team at West. He is the son of Tracie Roberts and Shawn White.